We have all Word Jam Answers available for you. Just look for the category where your level belongs and find the solutions easily. 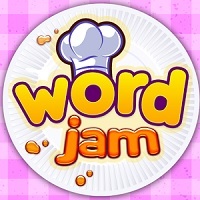 The Word Jam Answers help you to solve every level so you don’t have to use any hints. Now you can keep playing if you are stuck in a difficult level. This page contains the solutions for the France category. Below these Word Jam answers you will find the other categories. Just click on the category where your level is in. We make it as easy as possible for you to finish your game. But if you can’t find your answer then please leave a message at the bottom of the page so we can check if something has changed by an update of the game.